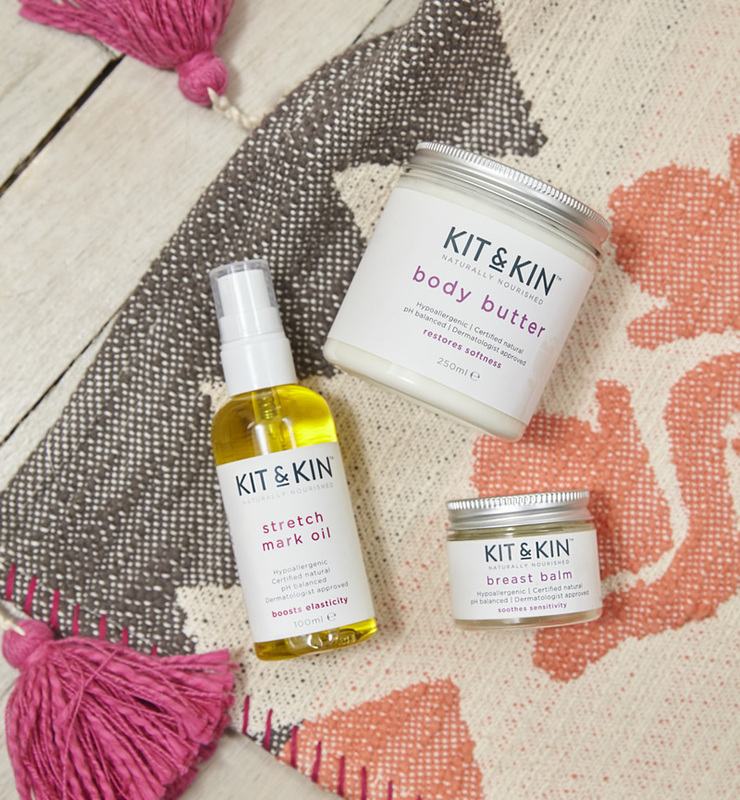 Kit & Kin doesn’t need any introduction. We already featured the fab brand twice. It all started with eco nappies with super cute designs but it soon grew with some fab beauty products for les bébés and les mamans. Co-founded by Emma Bunton aka Baba Spice (we were lucky to meet her at the official launch party back in September!) and Christopher Money, the brand is sustainable and has only one mission: to support mummies in what is their not so easy role! Using only natural, nourishing and eco-friendly ingredients and sustainable materials to offer families a range of safe and effective everyday products, the brand offers monthly nappies subscription and way more! If you want to know more about those famous couches (nappies), read now our Kit & Kin Nappies Review and you will be convinced! And in case you did not hear the good news, the fab label is expanding fast as its products are now available at Tesco! But for now, it is all about les mamans so let’s spoil you once again! At a retail price of £25.99, it has al les essentiels that Frenchie Mummy likes! No harsh chemicals or synthetic fragrances. C’est naturel! Did you not get something like that for Mother’s Day? Pas de panique! You can now win one of this wonders with the Frenchie Mummy Blog! 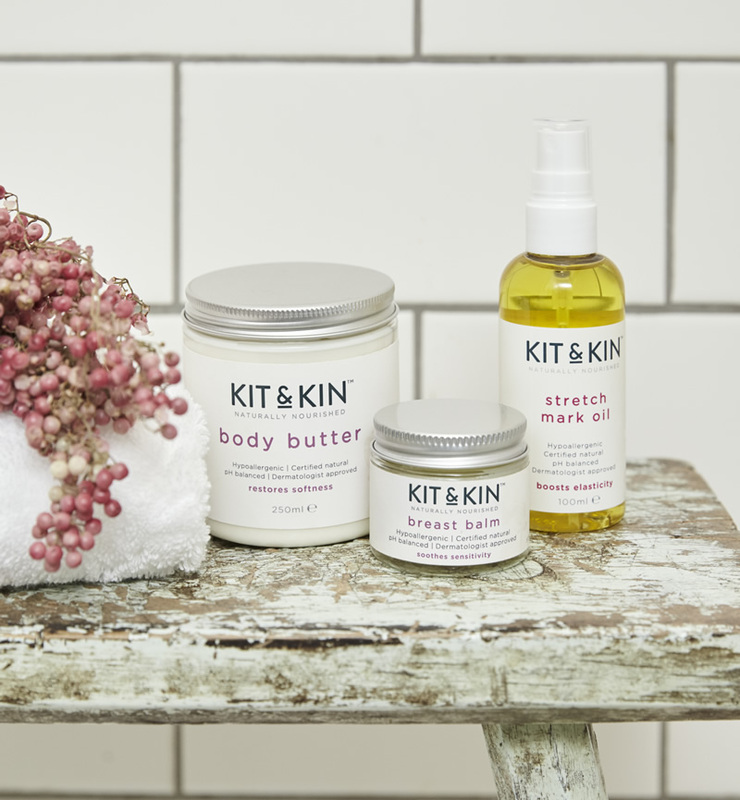 Loving natural products that help you to be gorgeous? 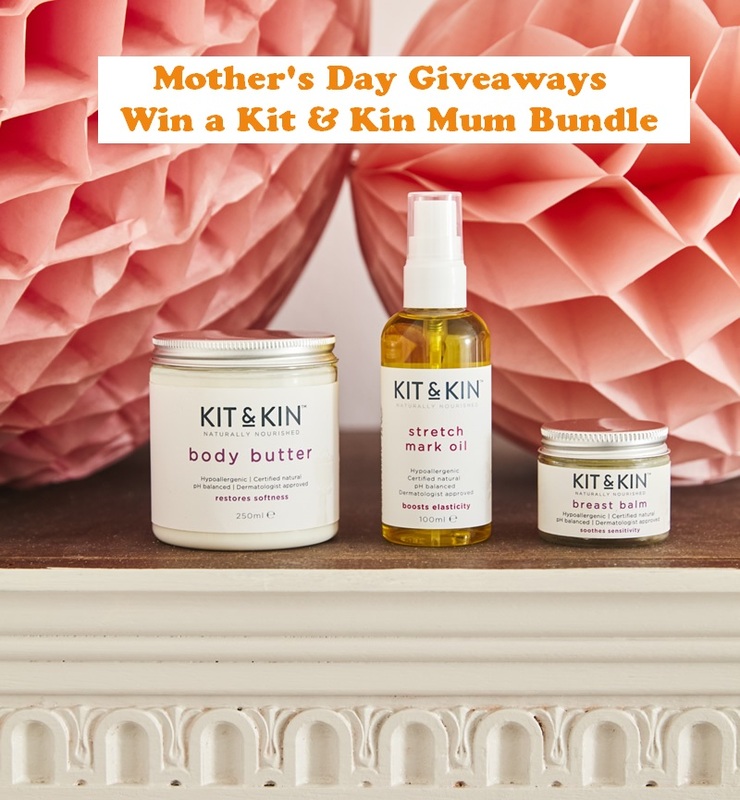 Then enter now our new Mother’s Day Giveaway and Win a Kit & Kin Mum Bundle worth £25.99! This giveaway starts on Wednesday 14th March at 5. 30 pm and ends at midnight on the 14th April. 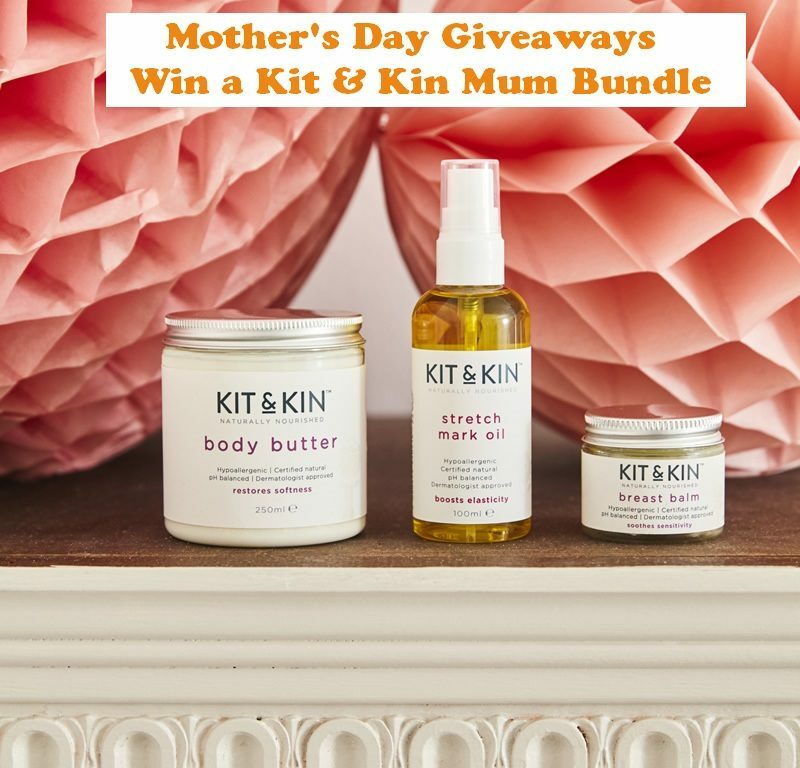 Merci for reading our new post from our Mother’s Day giveaways. Because mummies deserve more than 1 day to be celebrated! Loving what you see? Why not check out our Giveaways‘ section for more fabulous prizes to win with us! See you tomorrow with another fab beauty brand and a cool prize! Disclosure: This is a collaborative post with Kit & Kin. Concealer….. lots and lots of concealer! I have bad panda eyes! reduced intake of sugar – leads to clearer skin. crossing my fingers as i have a new baby nephew and would love to gift this to his mummy. Use a deep-cleansing mask once a week to rid your skin of impurities and dead skin cells that may be clogging pores. Make sure you’re using the right type of mask for your skin type. Look after your teeth. A nice smile will detract from the grey hairs and wrinkles! For me it has to be get lots of sleep- it’s shocking how the difference in my face is. My eyes and mouth droop, my skin looks sallow and dull, I frown…awful! Merino oil – great all rounder hair nails lips even dry feet ! Make sure you remove your make up every night! Natural cleansers at night to get rid of the dirt properly…wipes don’t cut it! Always remove make up and plenty of water ! I use olive oil from the kitchen cupboard as a hot oil hair treatment. warm a small amount in the microwave and massage it in. Then wrap your hair in a warm towel or clingfilm and leave for as long as you want. Just make sure you wash it thoroughly afterwards. Always drink plenty of water and always take your make up off at night . Sleep and lots of it. Also, good pillows so you don’t sweat too much. Drink plenty of water, eat lots of veggies and get enough sleep. DRink plenty of water – it helps my skin look healthy and improves the eye bags! cut down on the refined sugar – does my skin wonders! I use coconut oil for everything it’s an excellent versatile product ? Find the right facial cleansing products and stick to them. Find out your skin type and buy the appropriate prodcuts for your skin. The skin is very thin around your eyes, so don’t rub them when your tired. Concealer is your friend after too many late nights. For the last 3 years I’ve drank a minimum of two cups of green tea a day and it’s done wonders for my skin, it can be a bit of an acquired taste but if you stick with it you really will see the benefits. Never leave the house without mascara. Never underestimate the power of getting enough sleep. Sleep and hydration- both tricky as a mum! As much sleep as you can possibly get, lots of water and a layer of fake tan! Don’t forget to eat the rainbow and keep hydrated with water. Always apply your eye creams as if you were playing the piano, it avoids pulling on & stretching the delicate skin! pile cream on the wrinkles!!! Moisturise, moisturise, moisturise to keep skin smooth and soft. Cleanse tone and moisturise your face and neck using upward strokes every morning and evening! Keep hydrated -it stops bags, dark patches and pimples! Moisturise regularly and always after washing!